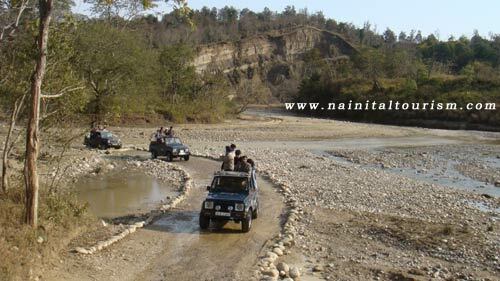 Dhangarhi on the Ramnagar Ranikhet road is the main entrance to the Corbett National Park. Dhangarhi is 19 kilometers away from Ramnagar. Dhikala is 35 kilometers from Dhangarhi. Another approach is from Kalagarh which can be accessed from Moradabad. 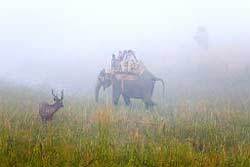 Amdanda is another entrance to the park 6 kilometers from Ramnagar. 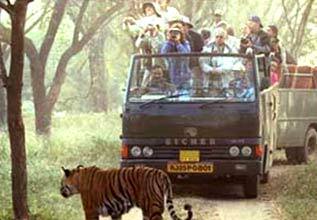 Please Note :- Once confirmed and booked, the booking amount of Jeep Safari and Elephant Ride / Safari is Non-refundable. Please Note :- We need One Photo Id No and list of all names who are coming for Safari with Age & Gender.